My most significant pilgrimage outside of Kabul occurred very shortly after I arrived in Afghanistan. 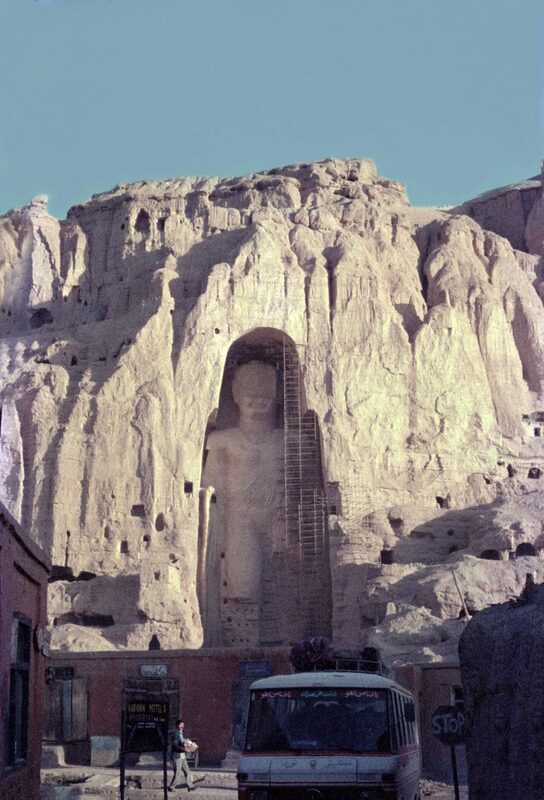 It was to see the 5th-century Buddhas of Bamiyan carved into the side of a mountain in the Hazarajat region of Central Afghanistan, 149 miles northwest of Kabul. We drove on pot-holed, bumpy dirt roads through beautiful river valleys and the 10,000-foot-high Shibar Pass, arriving just before nightfall. The tiny village inn was a welcome sight after a very long and torturous journey. As tired as I was, I wanted to step outside to breath-in the final light of the day. With no electricity, only a few candles flickered here and there, creating a magical, peaceful quality. 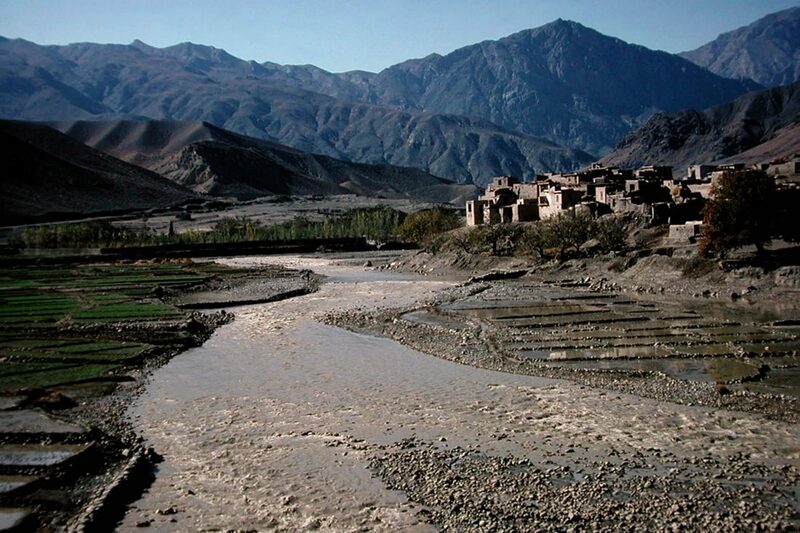 My breath was taken away as I looked up and saw the giant Bamiyan Buddha towering protectively over the village. It was so peaceful. Shortly after I arrived, an armed soldier entered the hotel and asked to see my passport. Being new in the country, I didn’t realize I had to keep it with me; it was back in Kabul. The soldier said I’d have to leave town immediately and began to march me up the dark street. A dramatic and scary event ensued which you can read more about in my forthcoming book, Modern Nomad: Into the Heart of the Silk Road, Afghanistan 1977. There are many more adventures, heartwarming and beautiful, to be discovered in my book as well. It will be published early fall, 2019. 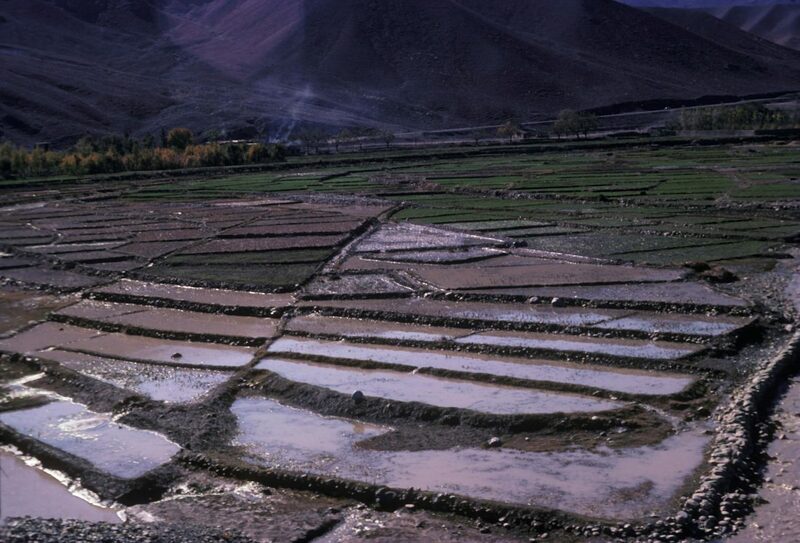 A final note on being “kicked out of Bamyian”: My bus ride back to Kabul was horrible and I suffered the entire way, crossing those same awful, pot-holed roads of the day before. I choked on the powdery dust and exhaust fumes that billowed up through the many holes in the floor, and I could barely breath. Hours later, I arrived at my studio and collapsed. It was the first time I got sick in Afghanistan. And, although this journey was filled with major challenges, my short-but-rigorous visit to the Bamyian Valley to simply be able to glance at the magnificent Buddha still ranks as an experience I treasure. After all, even a glimpse of something of such magnificence is a wondrous gift to behold and remember. I was there and touched the sacred ground. Bamiyan and the great beauty and peace imbued in the two ancient Buddhas of peace are a part of me forever. I am grateful.